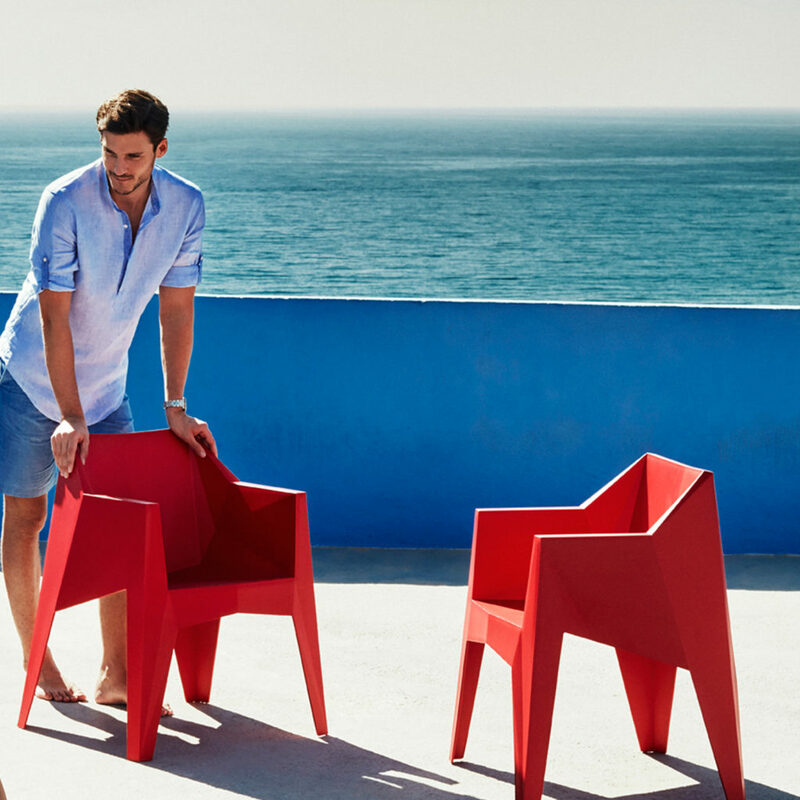 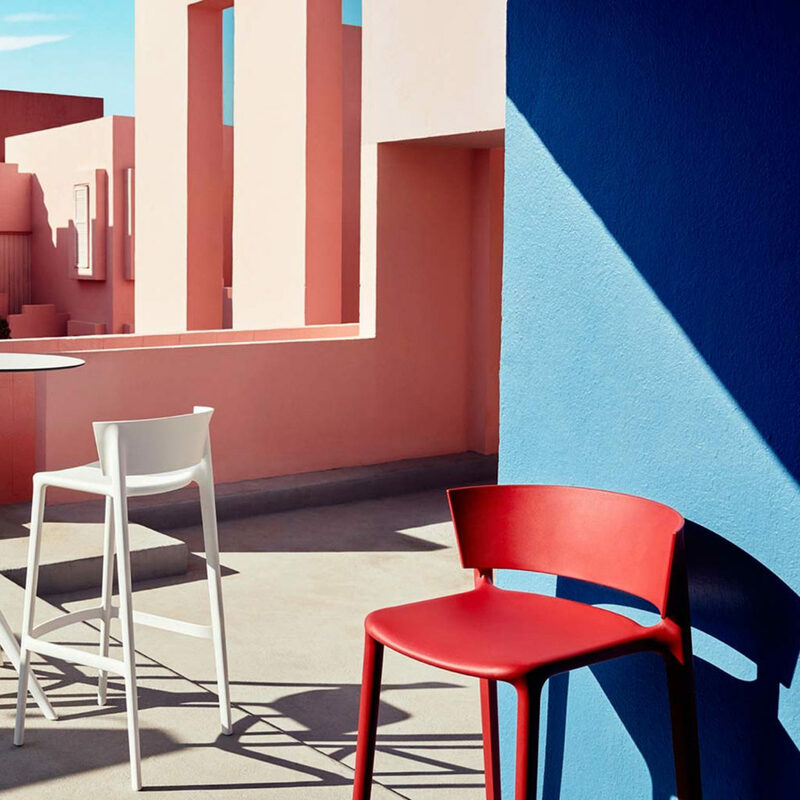 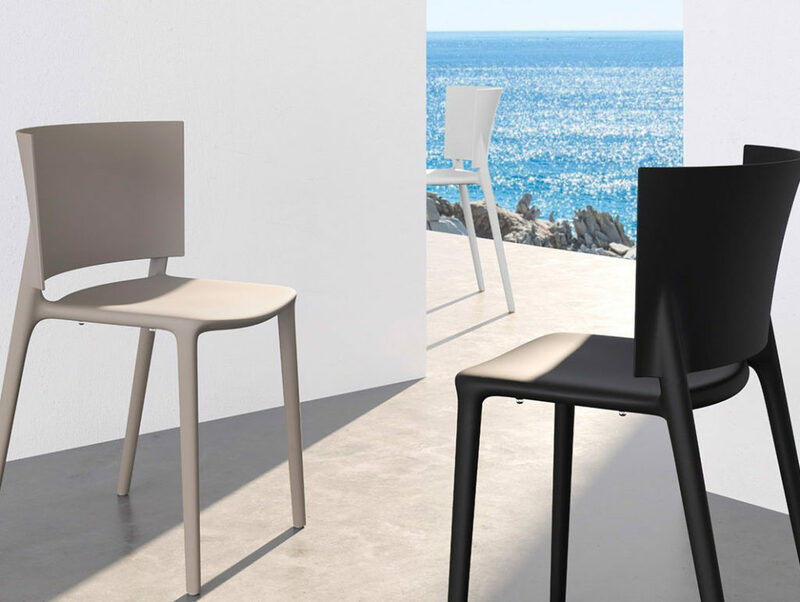 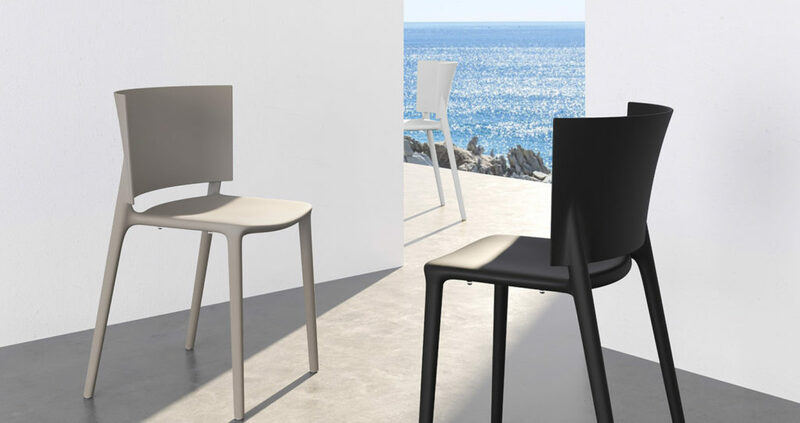 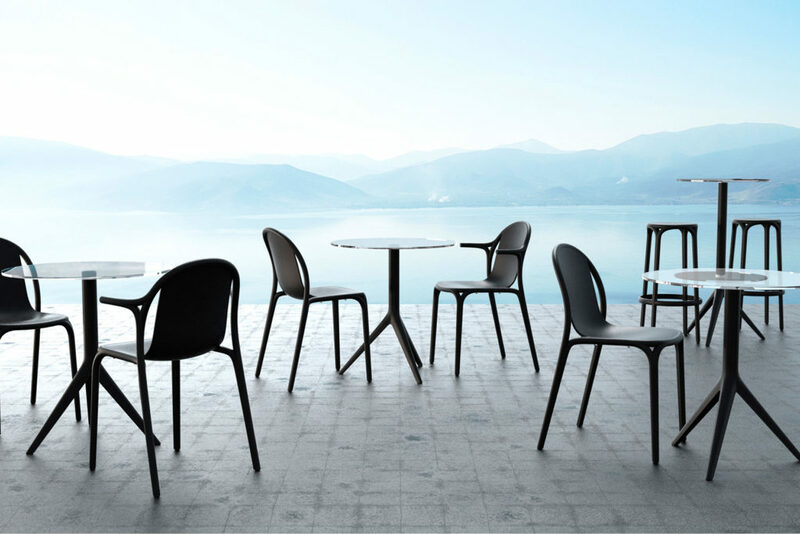 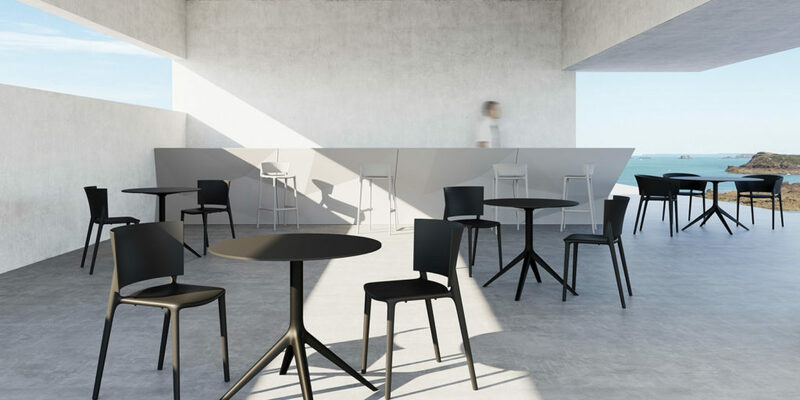 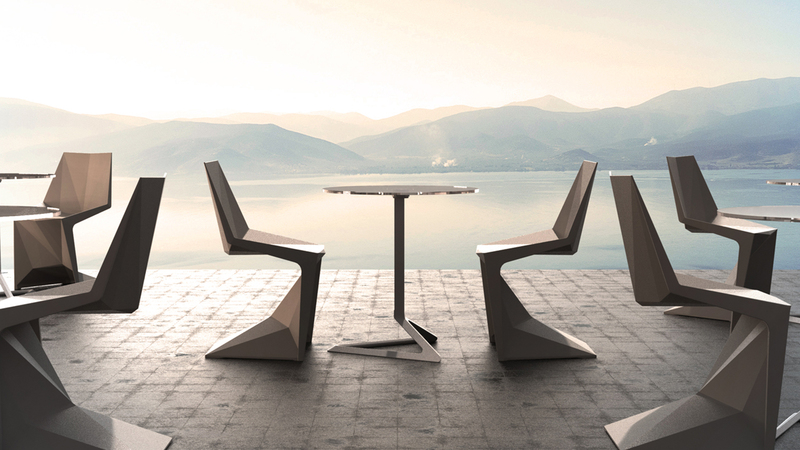 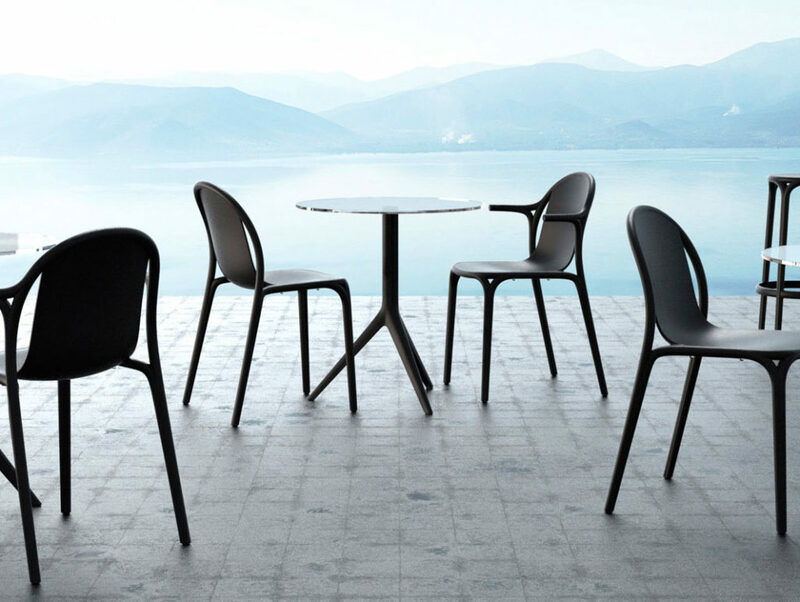 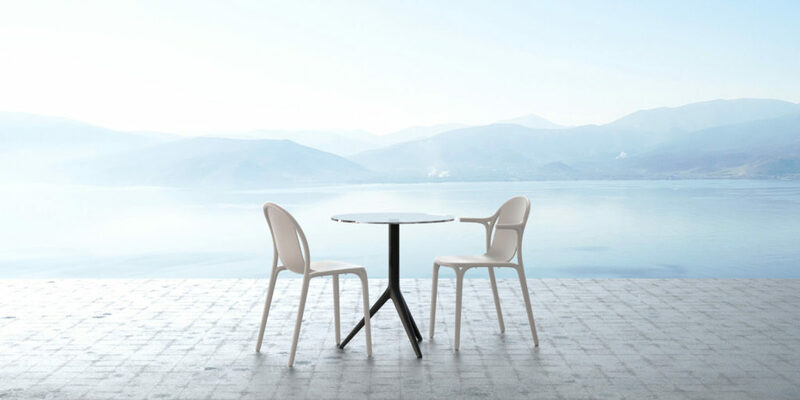 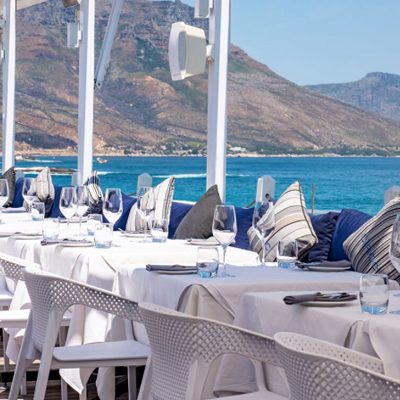 Leading Spanish outdoor furniture brand – Vondom, has just launched three stunningly stylish new chairs at very attractive prices. 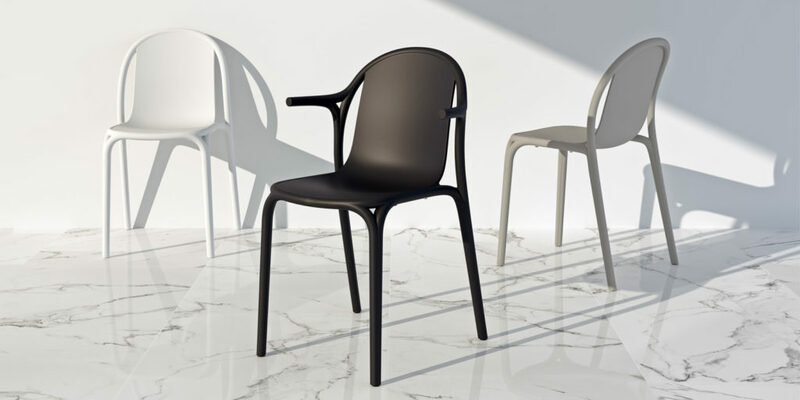 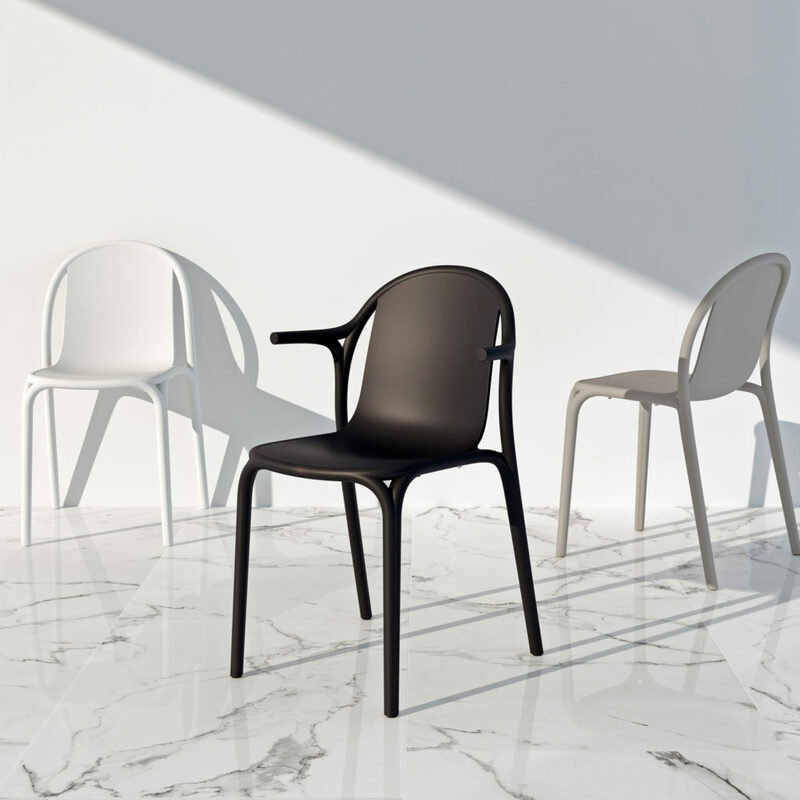 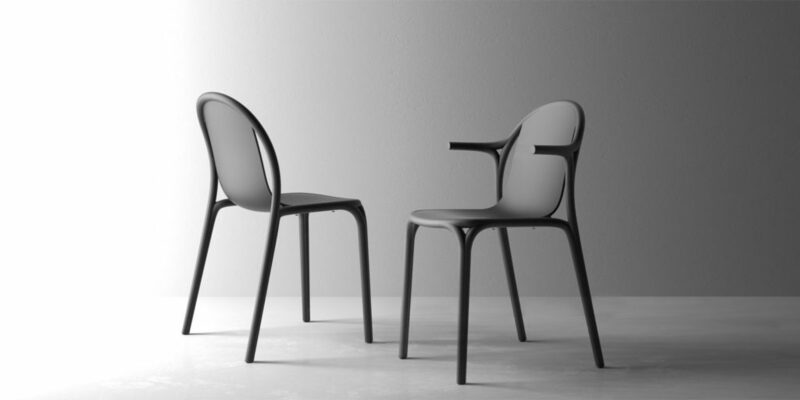 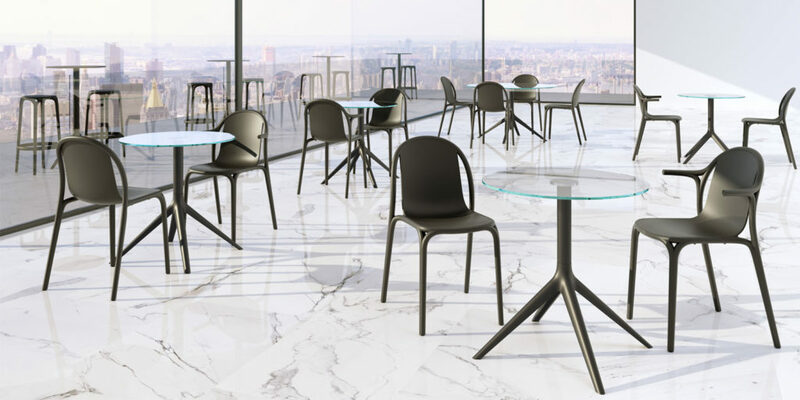 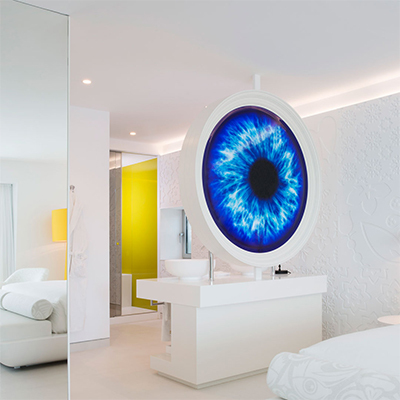 Designed by leading designers Karim Rachid and Eugeni Quitllet, these chairs have been manufactured to the highest standards for which Vondom is known and are sure to be winners for both private residences and larger contract projects. 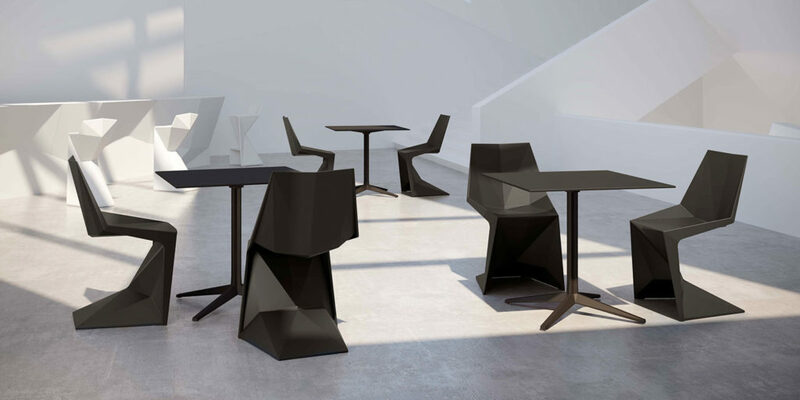 As with all our Vondom products, no minimum order quantities apply and are available to both our trade and retail customers. 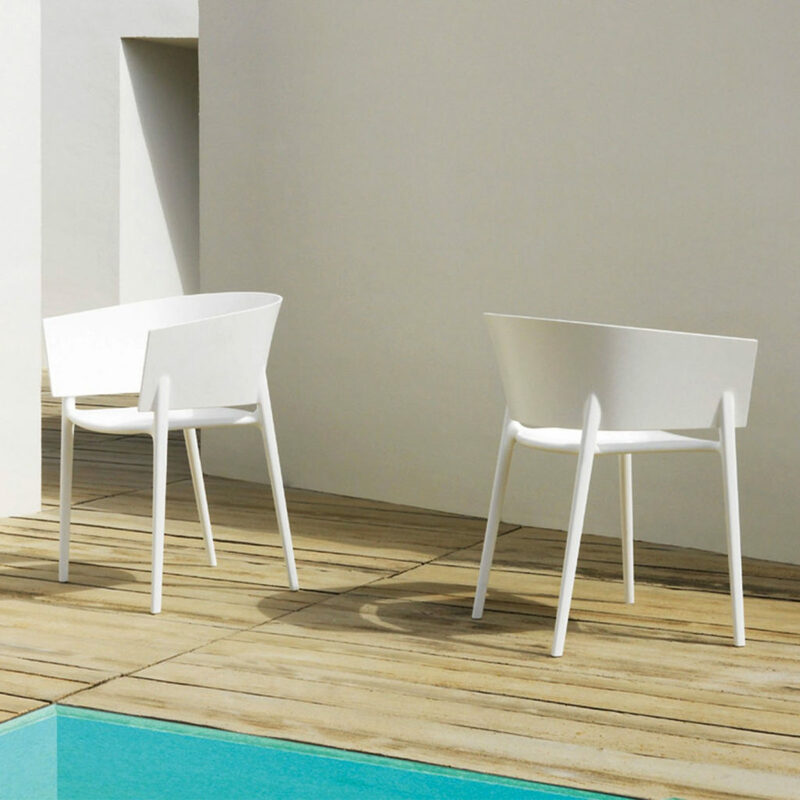 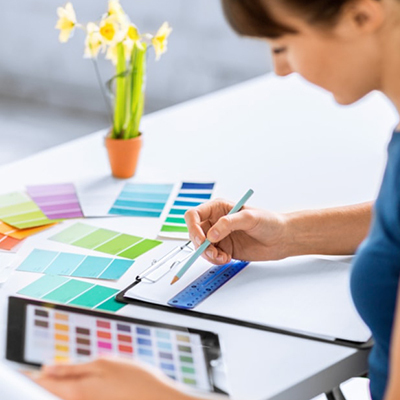 Each sturdy polypropylene piece is available in many colour options and is suitable for permanent outdoor use. 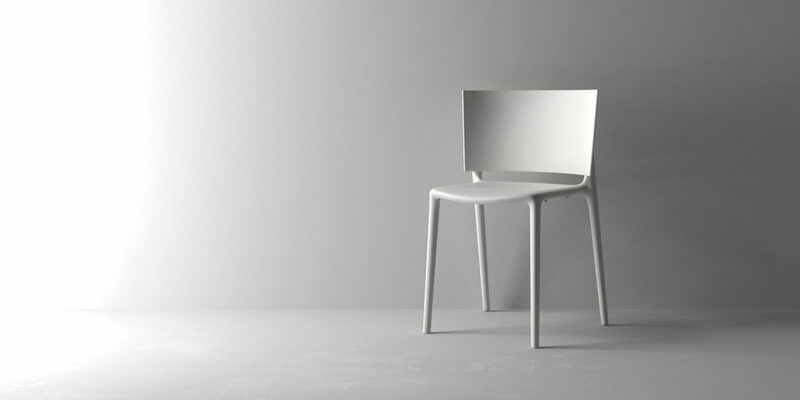 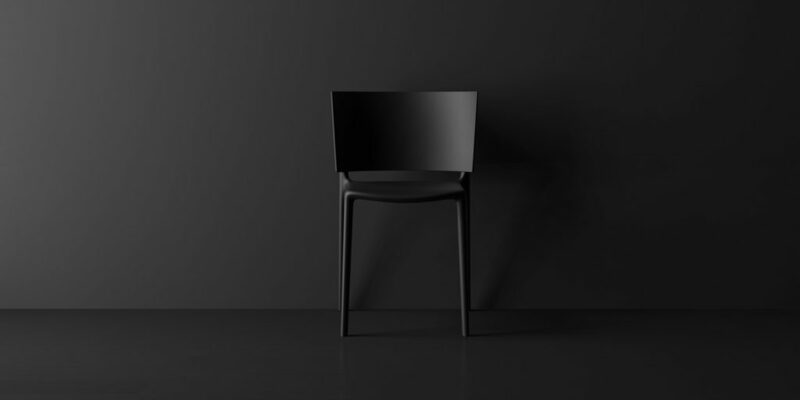 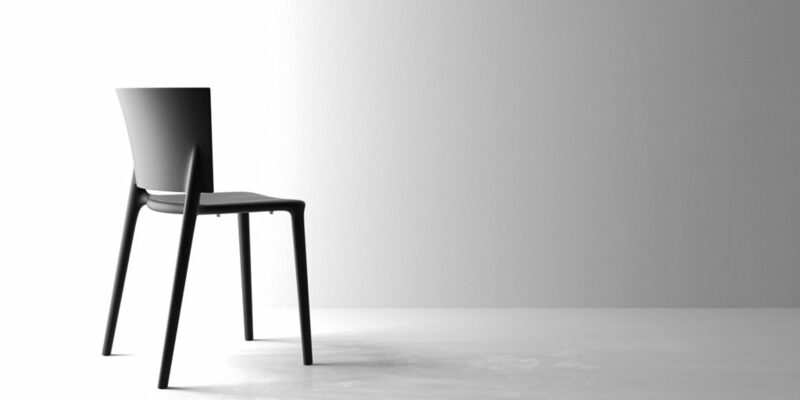 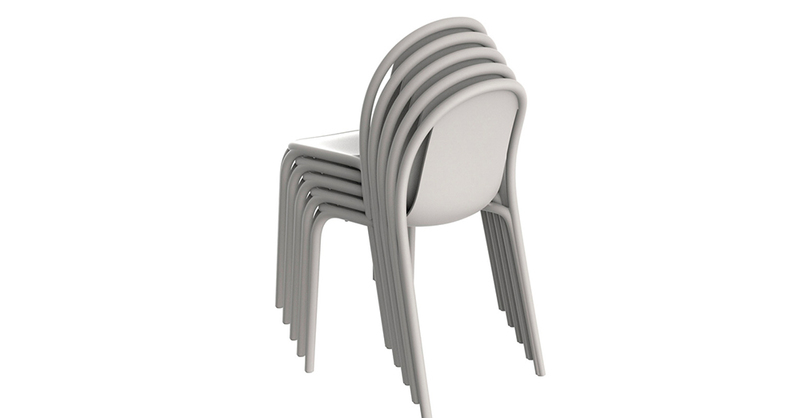 A very exciting addition to the very popular Africa range, this chair is the new armless dining chair version. 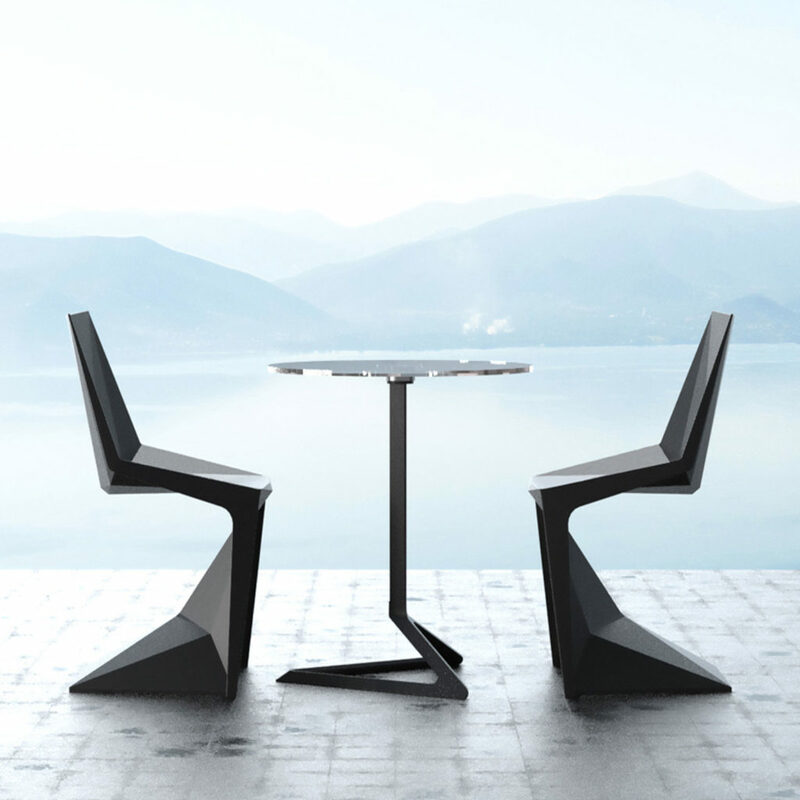 It will work well paired with the arm chair and offers the same amount of comfort and style. 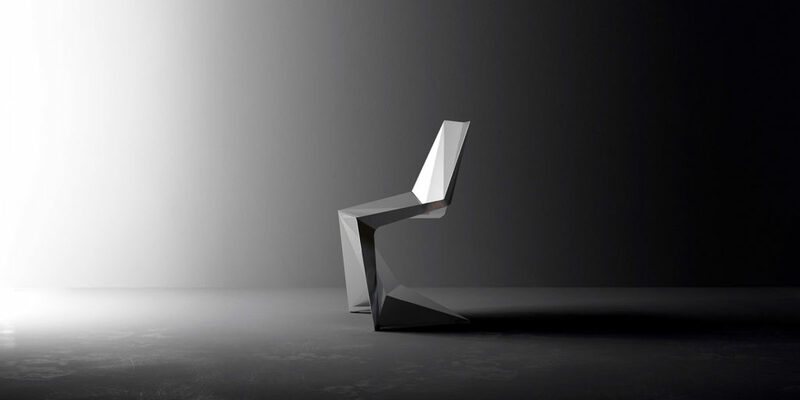 Based on straight lines and curves emulating the New York City bridge this is classic urban centric design at its best. 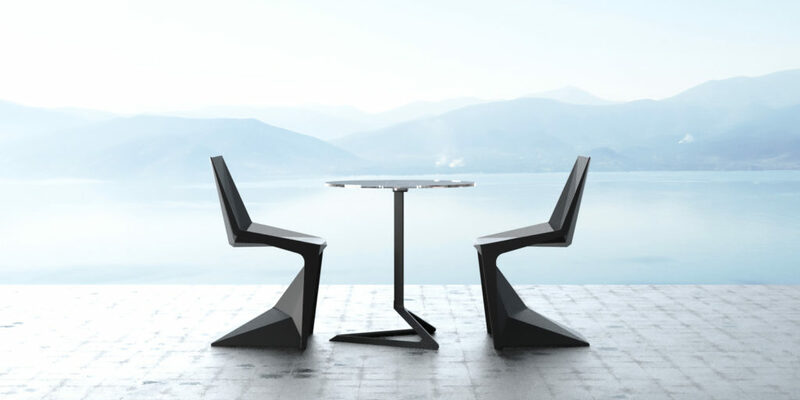 It is neat, uncluttered, versatile and very comfortable.